Indulge yourself in this elegant villa and its amazing private entrance and lush gardens. 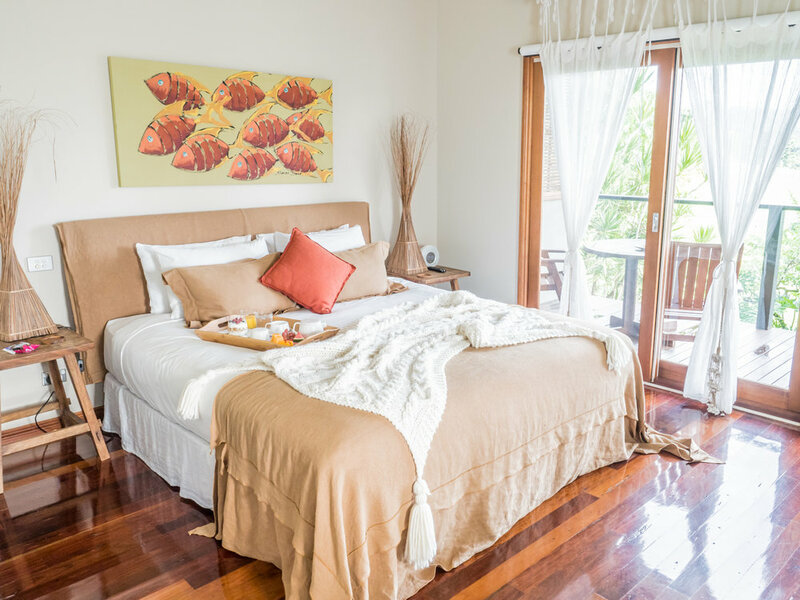 The villa is very spacious and boasts a King size bed, sofa lounge, double bath, Smart TV, Wi Fi, Blue tooth radio. Enjoy the spectacular views of the sunset on the verandah of this suite. The room is fully equipped with Wi-Fi, Smart TV, kitchenette, lounge chairs & includes a private entrance and free parking just outside your door. This apartment is equipped with a sofa lounge in a spacious living room, kitchen, Wi-Fi, Smart TV & includes a private entrance and private outdoor space to enjoy the views. Lovely mountain view from the King size bed. Treat yourself with this large comfortable Apartment. It contains a king size bed, 2 single beds, 2 bathrooms, a lounge sofa, Wi-Fi, Smart TV & includes a private entrance and outdoor sitting area to enjoy the views. A secluded and elegant retreat. This studio offers a large private verandah, facing the majestic Mt. Warning. The air-conditioned open-plan offers a kitchenette, king-sized bed, sitting area, and, of course, a lavish spa. This studio also has it's own parking space and private entry, and comes with free Wi-Fi. Lose yourself in this magical experience. 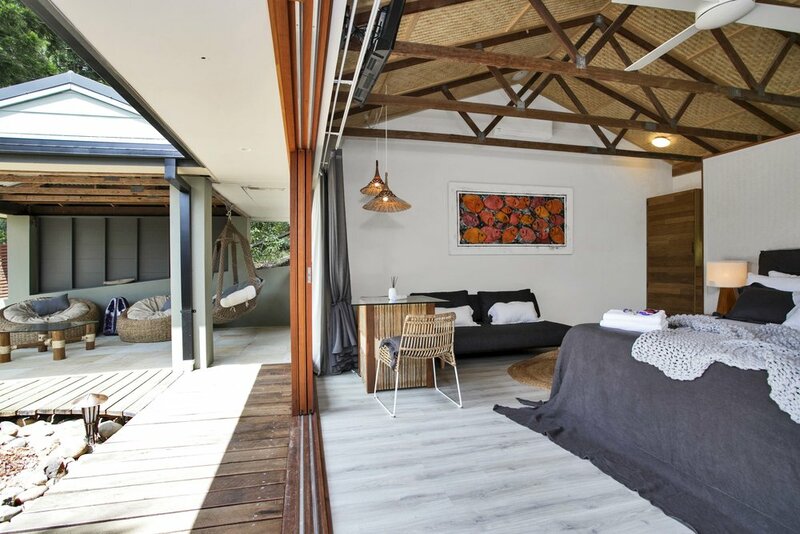 The room offers free Wi-Fi, a mini fridge, air-conditioning, Smart TV with Netflix, large bathroom with corner spa, lounge chairs and a private verandah with hinterland views. Energise yourself in this luxury room. It offers free Wi-Fi, Smart TV with Netflix, a mini fridge, air-conditioning a verandah with gorgeous sunset views facing the mountains. Small retreats offering tranquillity & peace. These are our entry level rooms and are smaller than the other rooms, we recommend these for short stays, if you are planning a longer stay then we highly recommend the King rooms or other options. 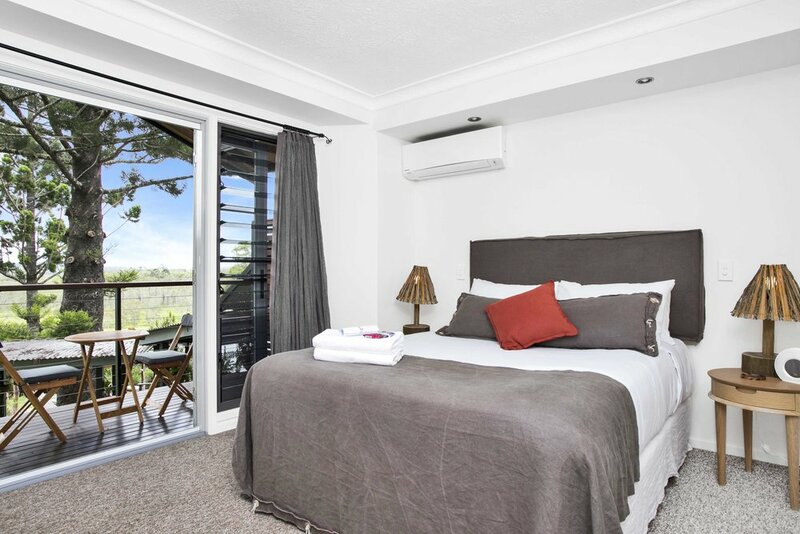 The rooms have pool or garden views, a mini fridge, Smart TV and free Wi-Fi.